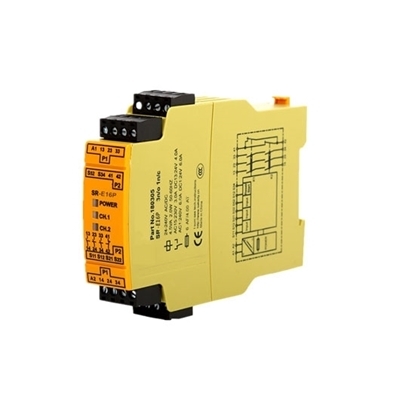 Safety relay AC 24V, 42V, 48V, 115V, 120V, 230V, or 240V, DC 24V, safety contacts 2NO, frequency between 50-60Hz, light weight, high safety and manufacturer direct sales. Expand the scope of control. 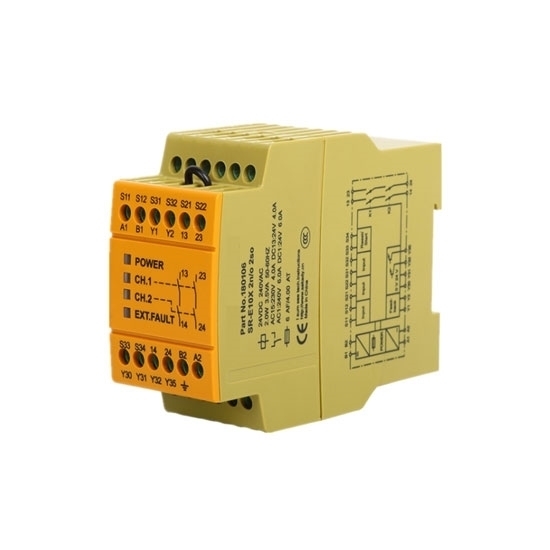 For example, when the multi-contact relay control signal reaches a certain value, it can switch, disconnect, and turn on multiple circuits at the same time according to different forms of the contact group. Zoom in. For example, sensitive relays, intermediate relays, etc., can control very high power circuits with a very small amount of control. Integrated signal. For example, when a plurality of control signals are input to a multi-winding relay in a prescribed form, the comparison is integrated to achieve a predetermined control effect. automatic, remote control, monitoring. For example, a relay on an automated device, together with other appliances, can form a program control circuit for automated operation. Exact replacement and much cheaper in price than locally available. I have been using this safety relay for more than a month and I am very satisfied with it.